With: Evan Bass, Karla Bruning, Alexandra Gutierrez, Maria Hansen, Brian Morvant, Matthew Rappaport, Erin Leigh Schmoyer, Steph Van Vlack. Books were burned, and works of Art. *From a poem written by my father while stationed abroad during wartime. My father survived pogroms in Europe and came to the United States, where he was eventually drafted into the military. While stationed overseas, he wrote many poems home to my mother (in his 5th language!). His personal feelings about war expressed in these poems, as well as our family history (far from unique in our troubled world) inspired me to write my new play, Long Time Passing. 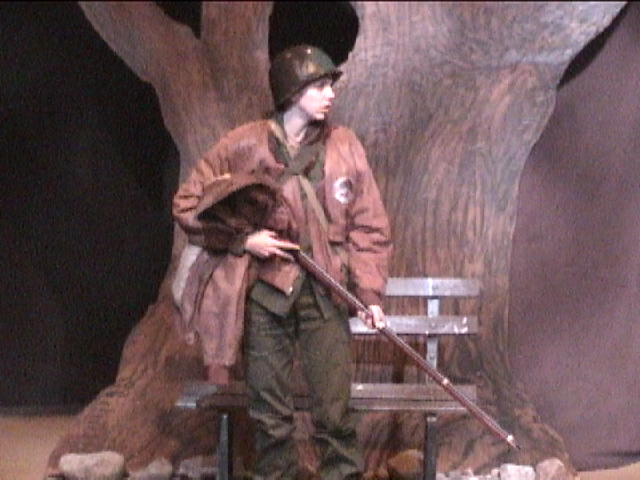 The play is a fable set in the ruins of Central Park during an endless war. There are no “sides” in the play and no politics, only the story of war’s devastation on all living things, both human and animal. And in keeping with the human (and animal) spirit, the play contains endless hope in this endless war. 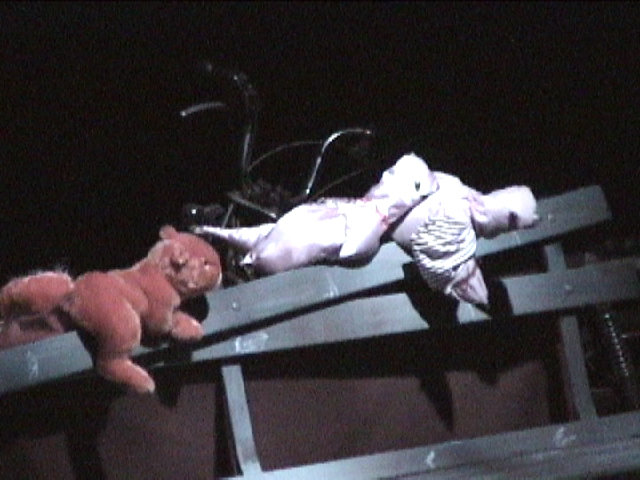 I am thrilled to be collaborating with puppet maker Harry Rainbow in creating the animals and composer Alicia Svigals on two songs for the play. 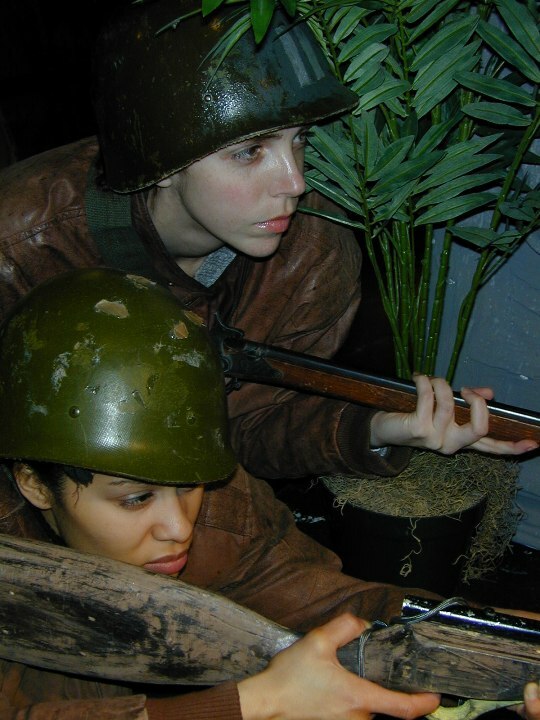 In a long-neglected and ruined Central Park, with overgrown foliage and petrified rubbish, two female soldiers, Marcy and Serena, in combat dress, have encountered each other. Marcy. I’m due to get leave in July. Maybe even in time for the Fourth. Selena. In your three months, excuse me, almost a year, you ever had leave? Marcy. No. Well, I almost did once, right after basic training, but when I was packing my bag, there was an air raid drill, and all leaves were cancelled. Selena. I’ve been in the army more than ten years, and I’ve never had leave. Nobody ever gets leave. Selena. Name one who did. Marcy. There was one soldier, I remember. She went on leave, but she never returned. They said she was transferred to the island when her leave was up. Selena. She probably deserted. They always say that about deserters. Marcy. Why would they do that? Marcy. I didn’t think of that. What should we do now? Marcy. Well, we’re still soldiers, and there’s a war to fight. Selena. There’s always a war to fight. There’s not a soul alive who remembers when there wasn’t. It’ll wait for us. No need to rush to catch up to it. There is the sound of the whistles, as if signaling. 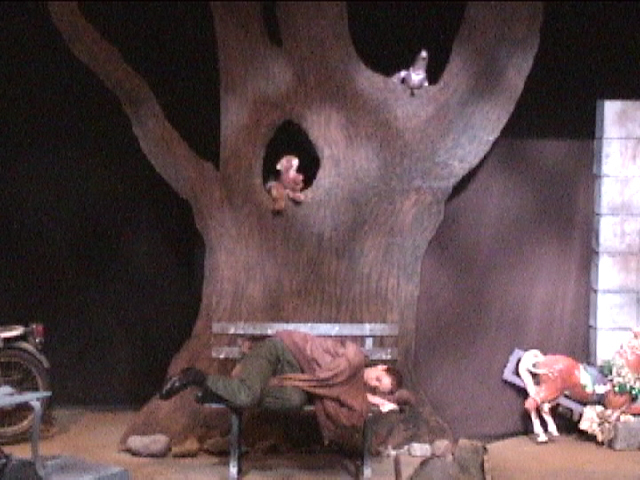 A pigeon (Aunt Duffy), with its wing in a sling, appears behind a park bench, followed by Turk, a younger pigeon, and Scurry, a squirrel. Turk. Tell me again how we used to fly. Turk. (interrupting) They lived in the country, not like our city tribes. Turk. I want you to tell it. Did you ever see them? Aunt Duffy. Of course, not. They were gone long before my time, long before. But grandma was told by her grandmother who was told by her grandmother what I’m telling you. They must have been a sight to behold! Especially when they soared. There were so many of them that when they flew, they blocked the sun and turned the day into night. Turk. That’s what I want to be, a passenger pigeon. Aunt Duffy. Don’t talk nonsense. You can’t be something you weren’t born to be. Look at yourself. Look at me. What do you see? You see a plain bird, nice enough to look at but nothing special, not special. Passenger pigeons were beautiful—bright red breasts, scarlet eyes, long slender wings, and tail feathers of black and white. And they could soar! They could race the moon…. Turk. And all the joy left the sky. They held their fire as I continued. 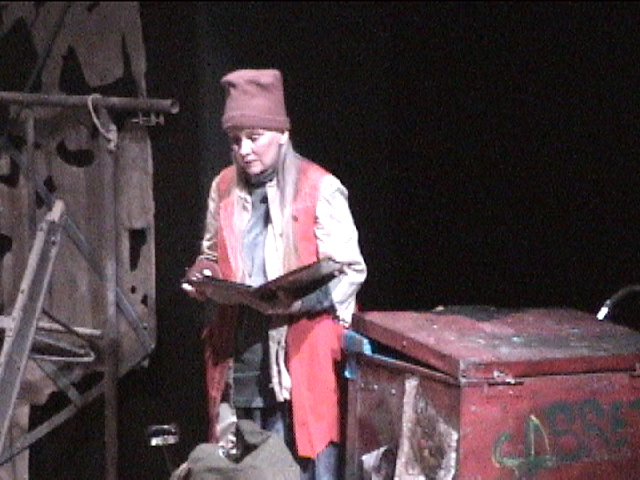 It took me three soliloquies and a sonnet to convince them I was not a spy, but an actor.